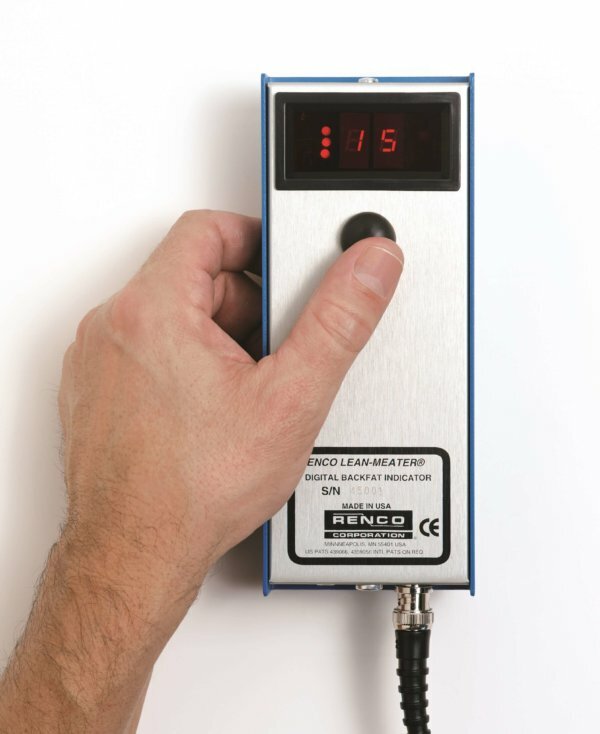 The Renco LEAN-MEATER® uses pulsed ultrasound to measure the backfat depth of your growing hogs, sheep and cattle. It is designed to measure the total depth of backfat. It is a fully portable, all-metal, hand-held instrument powered by rechargeable batteries. Extensive training is not required.